The old guy fingered his worsted wool vest and said, "Well, son, it was 1932. The depth of the Great Depression. I was down to my last nickel. 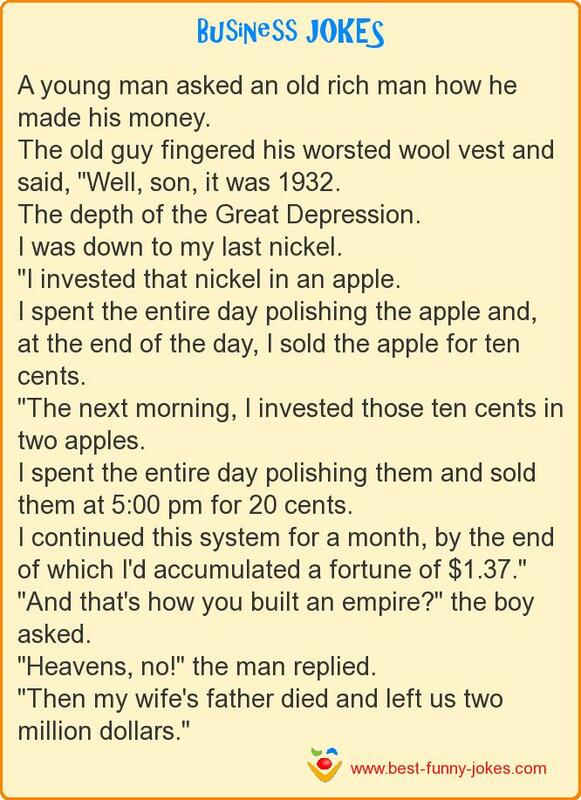 "I invested that nickel in an apple. I spent the entire day polishing the apple and, at the end of the day, I sold the apple for ten cents. I continued this system for a month, by the end of which I'd accumulated a fortune of $1.37." "And that's how you built an empire?" the boy asked. "Heavens, no!" the man replied.